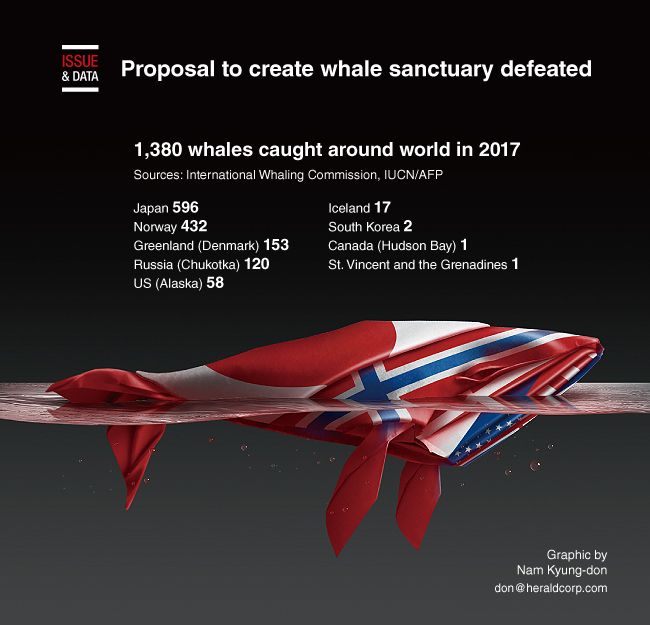 Members of the International Whaling Commission have defeated a Japanese proposal to reinstate commercial whaling. The commission suspended commercial whaling in the 1980s. But Japan argues that stocks have recovered sufficiently for the ban to be lifted. Countries that support the ban argue that many populations are still vulnerable and whaling is unacceptable. Twenty-seven countries backed Japan’s proposal at the meeting in Florianopolis, Brazil; 41 opposed.